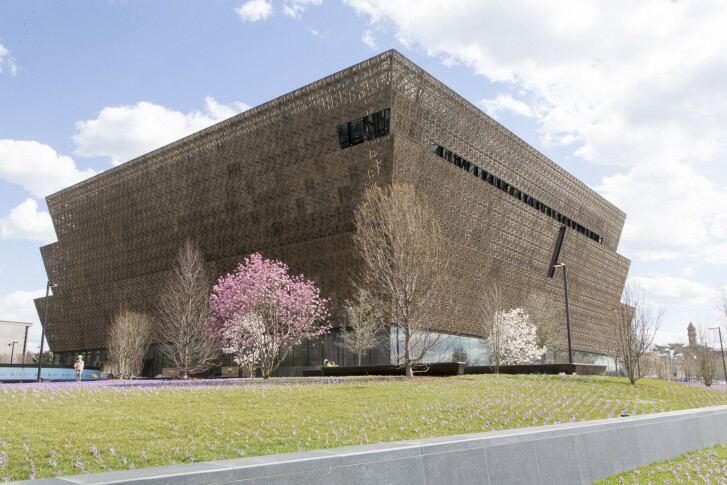 Microsoft Corp. has donated $1 million to the Smithsonian National Museum of African American History, which opens this fall after five years of construction. WASHINGTON — Microsoft Corp. has donated $1 million to the Smithsonian National Museum of African American History and Culture, which opens this fall after five years of construction. Other recent donations include $1 million from the Alfred Street Baptist Church, a $10 million gift from David Rubenstein, $1 million from MGM Resorts International and $1 million from Altria Group. The Museum of African American and History and Culture will be the Smithsonian’s 19th museum. It will open to the public Sept. 24 with 11 inaugural exhibitions covering major periods of African American history, including the slave trade, segregation, the civil rights movement, the Harlem Renaissance and the election of the nation’s first African American president. President George W. Bush signed the legislation establishing the museum in 2003. Construction began in 2011.